It seems as though everyone is looking for a way to lose weight these days, and in the continued search for the best method, many are suggesting your mind is the key to the problem, and weight loss hypnosis can help you use your mind to effectively lose weight. Weight loss hypnosis is a term that seems to get thrown around quite a bit these days. The goal is that by accessing the deepest recesses of the mind, you can lose weight effectively. Hypnosis is a method of putting a person in to a certain state of mind. The associated mindset is said to be highly alert, as well as highly suggestible, so it is possible for a subject to take suggestions from the hypnotist. Essentially, then, hypnosis in terms of weight control, is supposed to be a method of keeping patients on whatever weight loss program they decide, simply by suggesting it to their hypnotized state of mind. According to a variety of online accounts, supported by books and studies done on the subject, weight loss hypnosis does seem to be holding some legitimate ground in the weight loss market. While the benefits were originally attributed only to the hypnotized state of mind, further studies are showing that participants must have a diet plan in mind, essentially because they need something to follow after the suggestions have been planted. There are sources claiming that all weight loss programs, whether it be low carb, low sugar, low fat or anything in between, can be as effective as promised with the proper amount of dedication, and this dedication is said to be available through hypnosis. As with many weight loss solutions, there are skeptics on the issue. Those who disagree with the benefits of weight loss hypnosis tend to place their doubts in the entire concept of hypnosis itself. Because a state of mind is incredibly difficult to prove, the word placebo is often thrown as an attack. The reality, though, is that hypnotism is accepted by the APA (American Psychological Association). 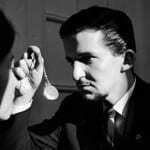 With such a strong backing, it is hard to be skeptical about the notions of hypnotism, though the lack of physical or “real” evidence is disheartening to many. As a result, while hypnosis may be effective in some scenarios, it’s difficult to tell whether weight loss hypnosis is effective for weight loss. So Does Weight Loss Hypnosis Really Work? The question is backed by strong evidence on both sides. Hypnotism proponents will speak to the possibility of hypnosis being used to achieve a desired amount of commitment when it comes to follow diet plans, while critics will just as easily say that the ability to commit is within the individual’s control, making hypnotism a waste of money. Regardless of the actual effects on the brain, though, there are studies showing impressive results to subjects that received hypnotism as a method of sticking to a diet regimen, as opposed to those who “quit” their diet just a few weeks in. Whether or not these effects are the result of an expert hypnotist laying his or her influence on human minds, or it is simply the result of a powerful placebo effect is yet to be proven. Regardless, it would seem the study does support the use of diet programs for weight loss as long as they are adhered to. Does Ab Tone It Really Work? I found your article on does weight loss hypnosis work actually quite an accurate report. As someone who lost 30 pounds with hypnosis and benefitted from keeping weight off for 5 years now, as well as being a professional hypnotherapist, I know of what I speak. One of the paramount reasons for entering this profession for me was the practical very real experience of weight loss with hypnosis. After working with dozens of clients I can truly say that the desire for change is number one and hypnosis delivers the motivation naturally and efficiently. It’s highly effective especially when clients learn to deal with their emotions and of course habits. A skilled hypnotherapist can help their client work through the blocks holding them back from making the changes. There is no panacea and the placebo effect you mention is always present in any therapy-it’s just how humans roll! Hypnosis is an extraordinary tool for understanding the complexities of the mind and the intersection of the subconscious. Once that gets synced up miracles do happen!